There’s nothing worse in life than having the feeling of hopelessness, wishing that your life were a bit happier, more fulfilling, or wishing to be living an entirely different life. You are not alone, there are plenty of women who want and need help –help breaking free from painful, negative emotions that leave them feeling down and lost. My goal is to help them rebuild themselves into a life without fear, stress, anxiety, and pain. 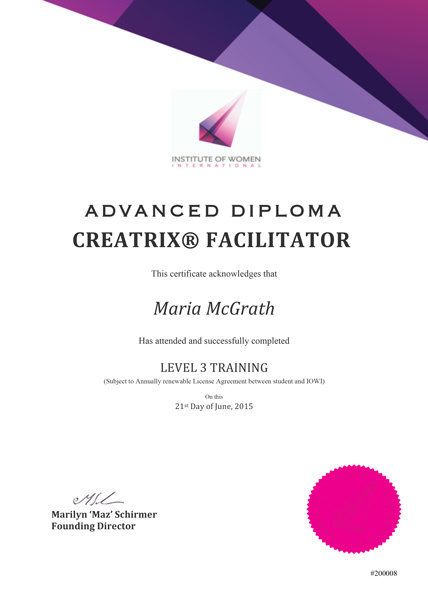 Before I found the Institute of Women and Creatrix®, I was a 40 year old single woman, terrified that my chance of having children had passed me by. I felt that I was unworthy of love and that there must be something wrong with me for not having found love and happiness with a family of my own. I found myself in a deep depression, I felt unbelievable sadness, loneliness, and despair. Each day was a struggle to get up and go through the motions to make it through the day. I was not participating in my life at all. I thought that if I just found someone to love me, or a job that I was passionate about or something? I would feel better and snap out of this black hole I was living in. The thing was, I was never going to meet the love of my life, or find a new job or passion. I was too sad, too angry, too frustrated, to attract anything good, and as time went on I felt worse, and the negative emotions got stronger. And I was pushing family and friends and everything that I did have away. I was angry all the time and seemed to have no control over how I was speaking and acting towards others. Definitely not a good thing in the service industry! I knew no one else could fix this, it was all up to me, so I spent 10s of thousands of dollars over a number of years, I was open to trying anything. I read tons of self-help books of every kind, I went to numerous events, heard all manner of personal development Guru’s, including Tony Robbins. In the moment, feeling the confidence and power and charisma of such people, made me feel better and confident I could change. But once home, all that energy was gone and I was back to where I was before I spent all that money!!! So when I got an email from a friend to attend an information day on empowering women, I jumped. 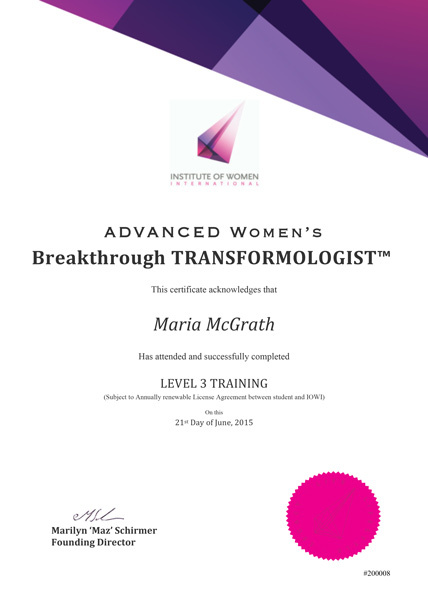 I was excited about the fact that there was this NEW process, specifically for helping women get rid of their negative emotions!! Just what I needed. I cannot do justice explaining how much my life has changed since having my Creatrix® breakthrough. I feel alive, happy, and at peace with where I am in my journey through life. I am confident and more in control of my life than ever before. 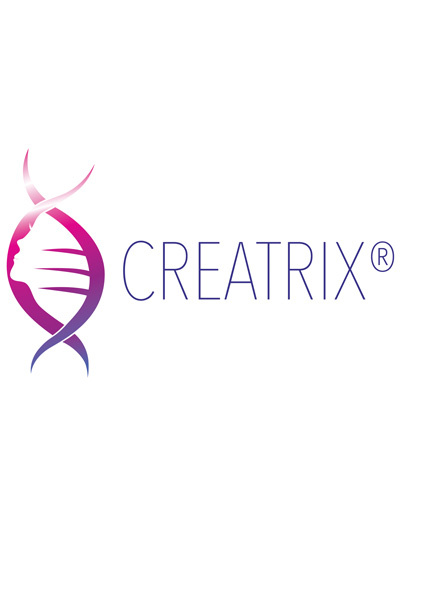 I found the process so amazing and life changing that I want to bring Creatrix® to the world. 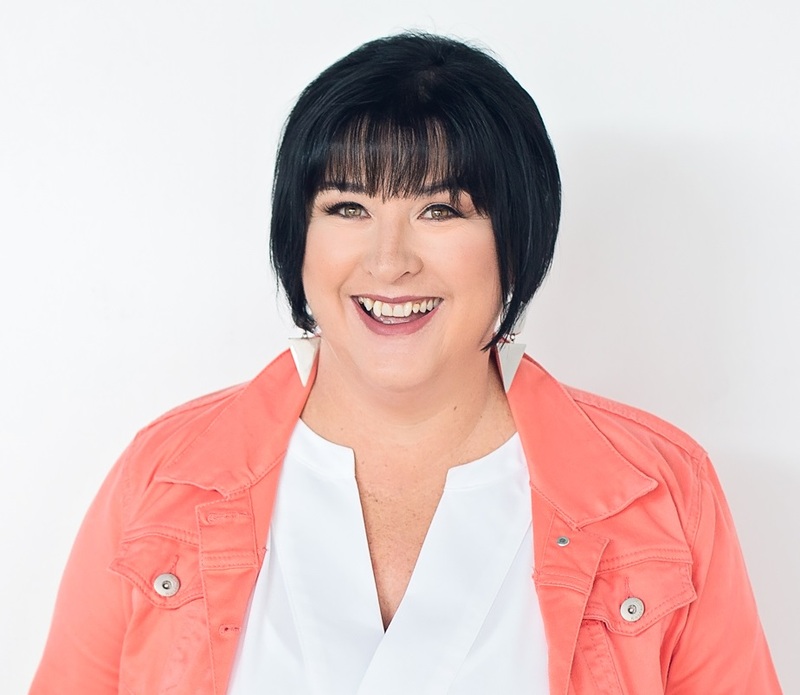 I am passionate about helping other women feel better about themselves and to life a life of joy, and passion, of happiness, calm, creativity and anything else they wish for. This is possible, you just have to want it! This is not personal coaching, or anything you have seen or experienced before. That’s why I became a WOMEN’S BREAKTHROUGH TRANSFORMOLOGIST. I am an Advanced Creatrix® facilitator and Group Creatrix® facilitator licenced with the Institute Of Women International. Free yourself from negative thoughts, having to justify your existance and live the life you deserve.